GetSavvi Health was introduced with the target to help the average residents of South Africa, who are unable to handle the increasing rates of medical insurances. A large portion of the population is suffering from diseases, about which they are... not being able to do anything. 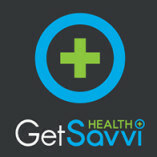 GetSavvi Health intends to provide premium quality healthcare to these people.